Manual toothbrushes are highly effective for cleaning teeth, provided they are used with the proper technique and for the recommended two minutes twice a day. If you are happy with your manual toothbrush and your dentist is satisfied with your oral hygiene routine and general oral health, good job! You can keep doing what you’re doing. However, for those who feel their oral hygiene requires some improvement, an electric toothbrush can provide some added benefits that can help. One of the main benefits of electric toothbrushes is that they require far less effort to use! We recommend electric toothbrushes with rotating, oscillating heads, because these make the ideal, circular brushing motion. That means all you have to worry about is guiding the toothbrush lightly over the fronts, backs, and chewing surfaces of your teeth; the electric toothbrush will do the rest of the work for you! Without a watch or timer, it can be tricky to tell exactly when the recommended two minutes of brushing is up; it’s longer than you think! 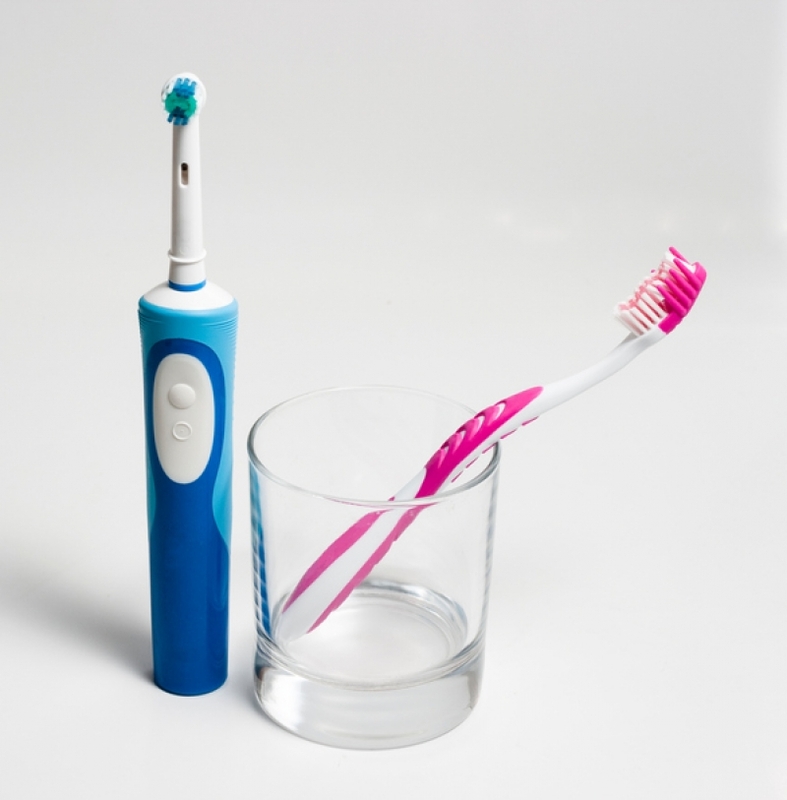 Most electric toothbrushes (even many of the more basic models) come with built in timers that go off after two minutes, to let you know when you can stop brushing. Especially if you use the recommended round, rotating head, electric toothbrushes are small enough to reach those awkward angles at the back of your mouth easily. And because you don’t have to make the brushing motion yourself, you just have to move the brush gently around your back teeth for a good clean. Again, since you’re not making the brushing motion yourself when using an electric toothbrush, it actually makes it much easier not to brush too hard. You just guide the brush lightly and evenly around all your teeth, not really pressing down, rather having to make that scrubbing motion that can result in worn down enamel and gums. If you have questions about choosing an electric toothbrush, please feel free to contact us any time!